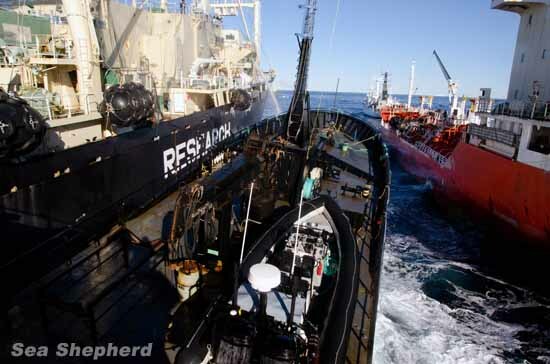 The Sea Shepherd’s (SS) “Operation Relentless” met the relentless Japanese fleet in the Southern Ocean this whaling season– at least three times. As in the past seasons, there are dramas. Expect fleet chasing, water bomb exchanges, and ramming of vessels, for example, like an action-packed, adrenalin-pumping movie scenes. This season, however, the SS claims to have exercised restraint not to fight back during sea encounters. But it’s losing its patience when the Japanese whalers allegedly throw heavy metal objects at My Bob Barker crew and attacked the vessel. The harpoon ships also made repeated attempts to damage My Bob Barker’s rudder and propeller. Every year leading up to the Antarctic whaling season, the Governments of Australia, New Zealand, The Netherlands and the United States of America ask both parties in the struggle over the sanctity of the Southern Ocean Whale Sanctuary to show restraint. It’s an easy way to skirt taking any actual responsibility for the clashes that occur in the Antarctic– why enforce the law against poachers when it’s so much more convenient to just ask them to play nice? 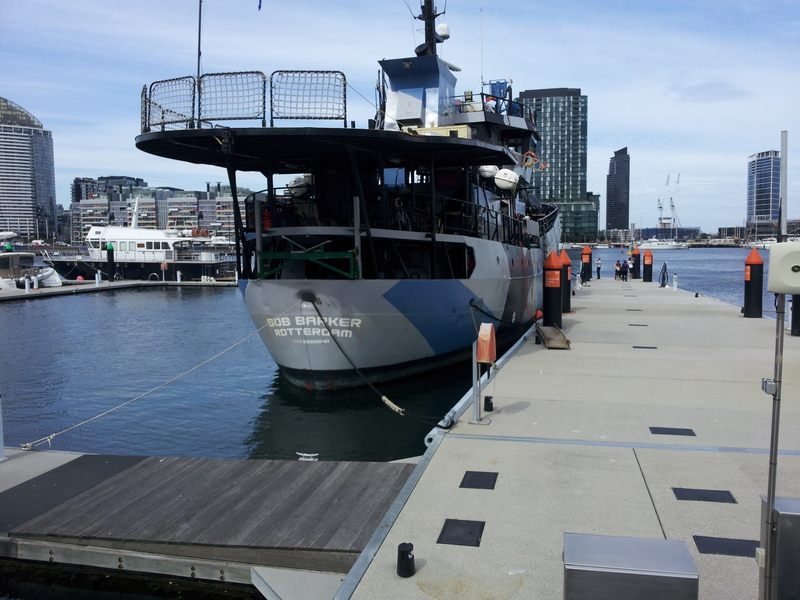 I admit that I had a glimmer of hope when you made a pre-election promise that an Australian Customs Vessel (ACV) would be sent to the Southern Ocean this season. It was a welcome move that gave me great comfort, especially after my vessel, the Bob Barker, was rammed repeatedly by the much larger Japanese factory whaling ship Nisshin Maru last year. But that promise was weathered down by the Abbott Government as the promise of a ship devolved into the promise of an aircraft, transformed into a plane that’s only flown once this entire season. Well Minister, I believe that I’ve shown restraint this season in the good faith that we had the protection of the Australian Government. 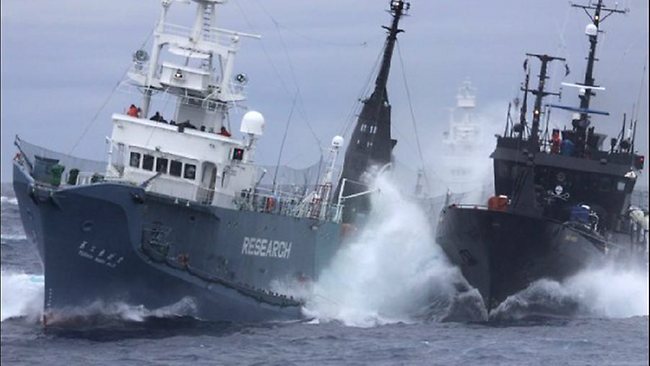 But after sustaining two consecutive and completely unprovoked attacks, some of the most ruthless assaults in the history of Sea Shepherd’s Antarctic Whale Defense Campaigns, I’m losing hope. When the whalers throw heavy metal objects at my crew, I instruct them to not throw anything back – not even in self-defense. When the harpoon vessels attacked my vessel for the first time this season, I sought the sanctuary of Macquarie Island in my bid to lose them, rather than launching small boat action after small boat action in an effort to lose the criminals stalking me. And yet now, I can’t so much as come within sight of the factory whaling ship before the harpoon ships make repeated attempts to damage my rudder and propeller. 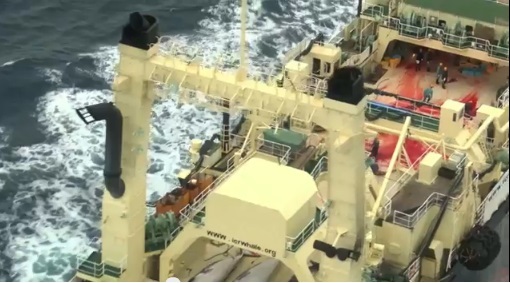 On the 23rd of February 2014, when the Japanese harpoon ships Yushin Maru and Yushin Maru No. 3 trailed hundreds of metres of steel cable across my bow, I informed them by radio that their actions were illegal. I told them that I have nine Australian citizens on board and even flew the Australian flag from my foremast to extenuate the point. I stated clearly that the Australian Government had been informed. And yet the attacks were not deterred. Each narrow miss of my propeller reminded me that that ACV could have prevented the attack. I was left with no other choice but to launch my Rigid Hulled Inflatable Boats (RHIBs) to defend my ship. The following day you again made a statement calling on all sides to respect international maritime law stating that the facts of what happened are still unclear. Well, that elusive ACV could have documented every harrowing minute of the blood-chilling ordeal and had they done that, then I’m sure that it would have been equally clear to them that there is a big difference between two poaching vessels towing 250 metres of steel cable with the intent to deliberately damage the rudder and propeller of a conservation ship; and a conservation ship deploying small boats in an effort to defend itself from a sustained attack. 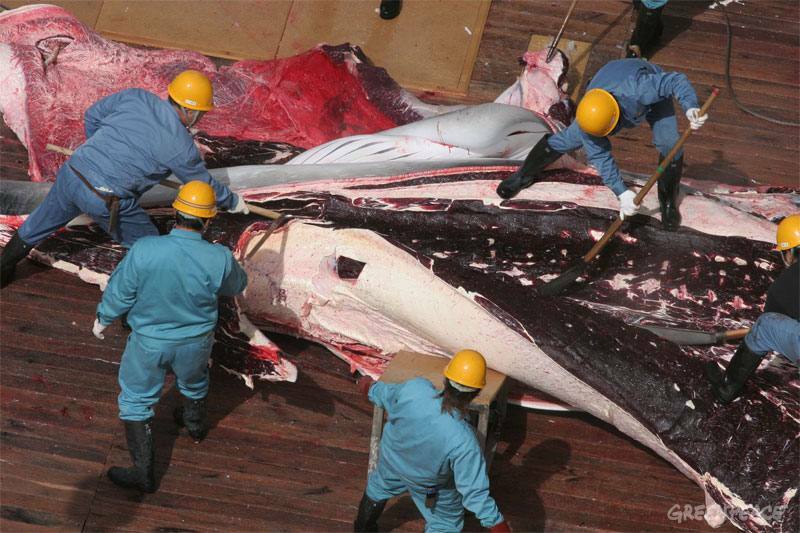 The aim of the whale poachers is to subvert the law whereas ours is to uphold the law. I did not launch my RHIBs until after alerting the Government of Australia and New Zealand Search and Rescue that I was under attack. Minister, I have no doubt that you’re a passionate advocate for the whales and I commend you for your strong statements in defense of them. I even recognize that if the choice had been yours and yours alone, then an ACV may even have been sent. But that aside, in the absence of any kind of law enforcement down here, and as promises are broken, my ship is getting battered and my crew are getting pummeled. 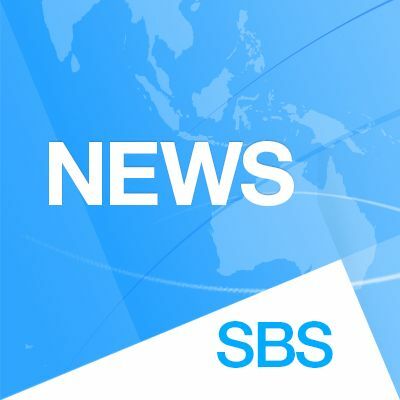 On behalf of my Australian crew I have to wonder, how much abuse are we expected to take before it is made clear to Tokyo that the Australian Government will not tolerate unprovoked attacks against its citizens? I realize that the attack on my vessel occurred outside of the Australian Antarctic Territory, but the safety of Australian citizens, even outside of Australian waters is the responsibility of the Australian Government. I implore you to make it exceedingly clear to the Government of Japan that unprovoked attacks on Australian citizens, and the vessels that carry them, will not be tolerated by the Australian Government any longer. 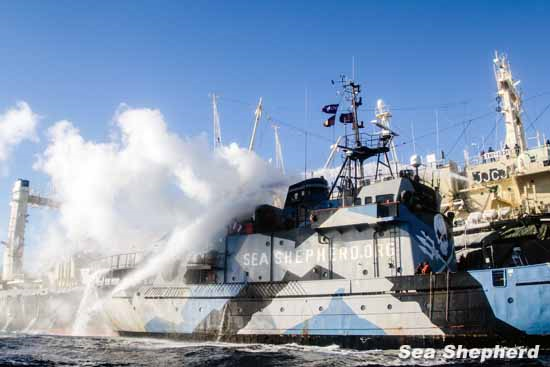 The Sea Shepherd fleet has found the factory whaling ship three times this whaling season. We will find them again. And when we do the weather will be rougher and the nights longer. If the Australian Government does not prevent a third attack, then I will have no choice but to resign myself to the reality that the Australian Government has surrendered the Southern Ocean Whale Sanctuary to Japanese whale poachers. 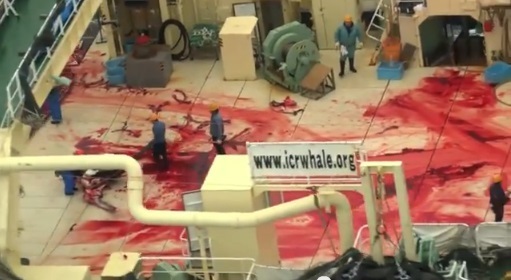 I cannot in good conscience not intervene if I see a crime taking place before my eyes, in this case the killing of threatened, endangered and protected whales. Where there is an absence of law enforcement, I will have no choice but to fill that law enforcement void. 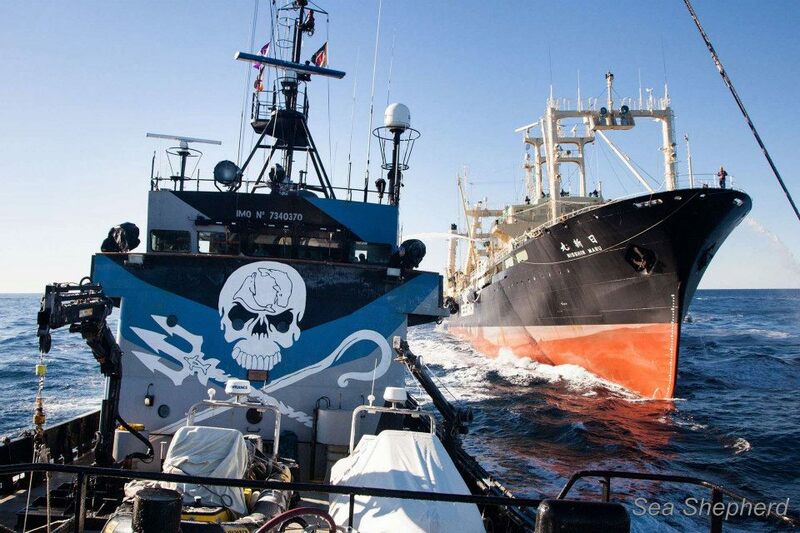 This year expects more violent vessel clashes between the Japanese and the anti-whaling ”pirates”. 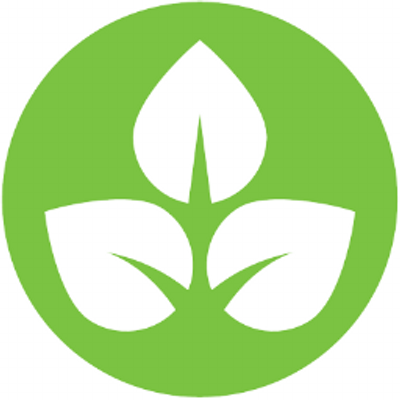 SSA claims itself to be a defender of the Southern Ocean and all life forms it contains. 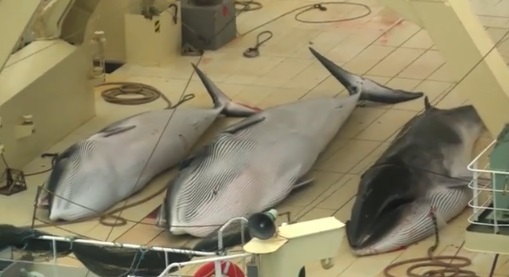 Foreign governments have criticised Japan’s whale hunts, alleging violation of the International Whaling Commission’s ban for commercial whaling which it introduced in 1986. 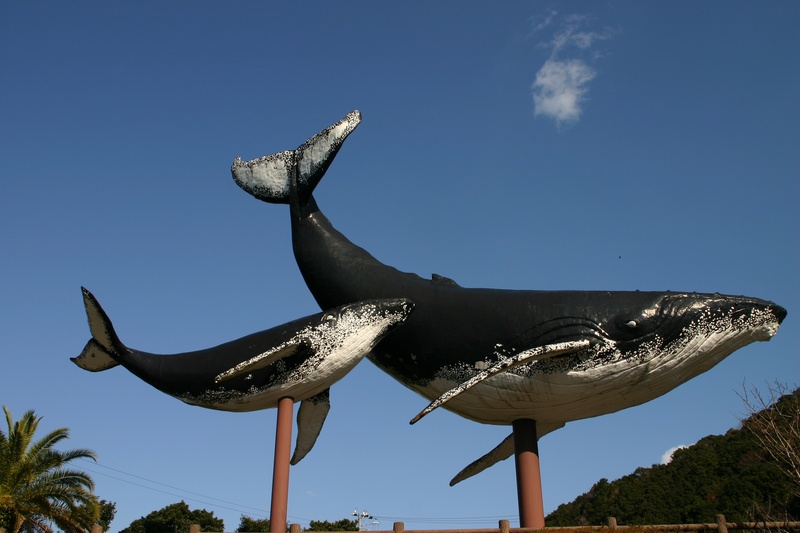 Although Tokyo defended its whaling on grounds of scientific research, activists said “research whaling” is a cover up for commercial whaling that is banned under an international agreement. 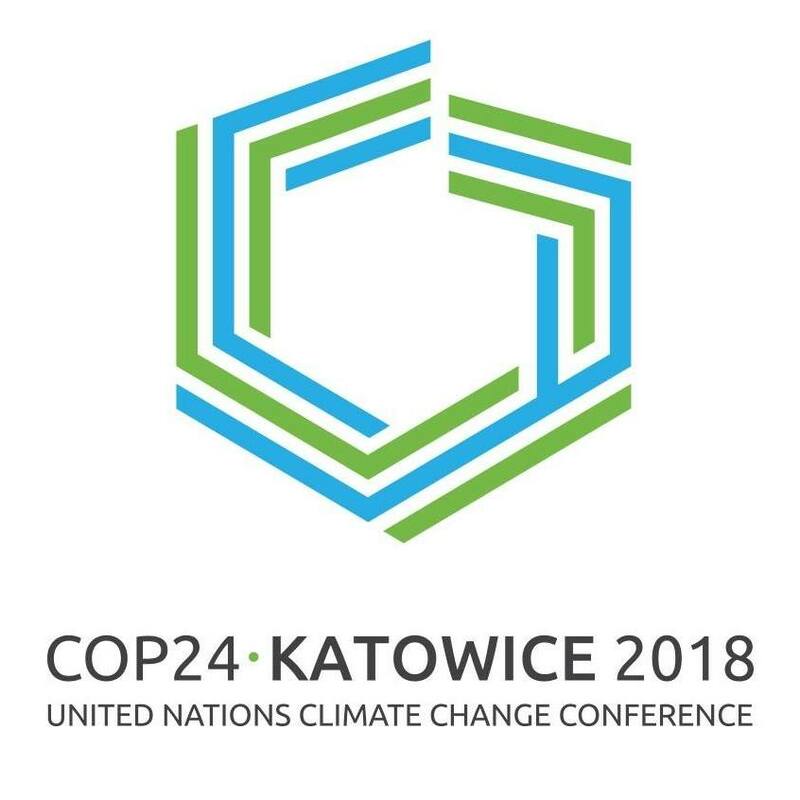 Tokyo also said the practice of eating whale is part of Japanese culinary tradition, and therefore the whales are studied as part of a bid by its whaling research institute to prove their populations can sustain commercial whaling. Japanese-owned Nisshin Maru rams the Bob Barker into the Sun Laurel. Pic: Glenn Lockitch.